The families from the La Colonia Branch wanted to give back to someone that has given to them for so many years without expecting anything in return. 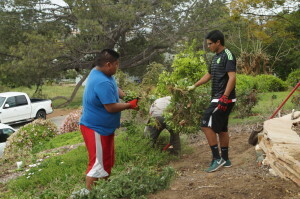 The La Colonia Branch collaborated with Kids Korps to create a Starbucks grant project that would honor a long time volunteer on Saturday March 21. Children, teens, and parents started arriving as early as 8:00am with smiles on their faces and ready to work. 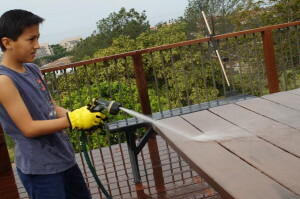 They all worked side by side as a team to beautify the community member’s home inside and out. 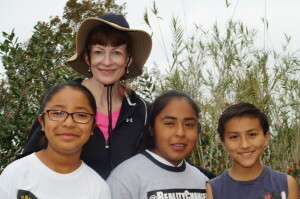 This volunteer goes to La Casita, helps with homework, encourages the children and teens to reach for the stars, shows them how to garden and love it, and has also helped to start a La Colonia Branch STEM program once a week. This amazing person has been a big part of our youth’s growth academically, but most importantly, this volunteer has always had a special way of showing them how important each one of them is. The love this volunteer shows for each child, teen and the parents is not something money can buy.